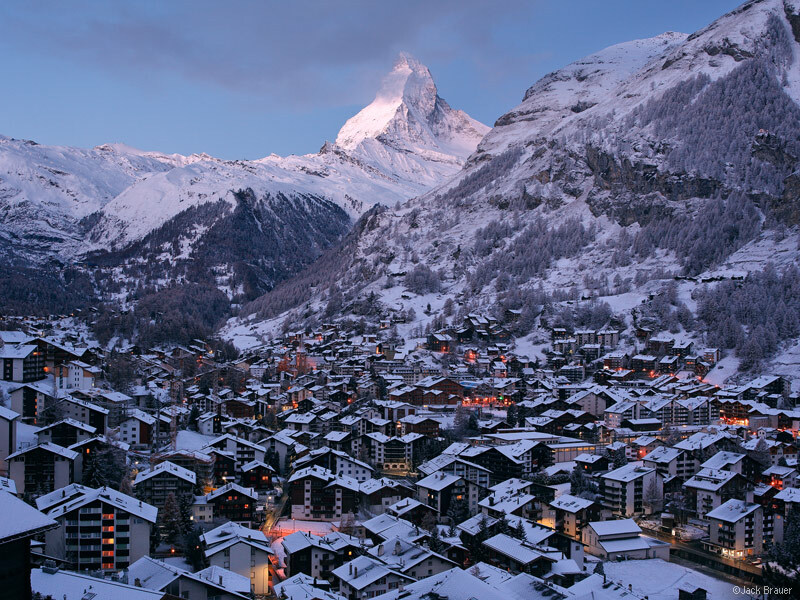 The mighty Matterhorn looms over the town of Zermatt on a snowy November morning before sunrise. 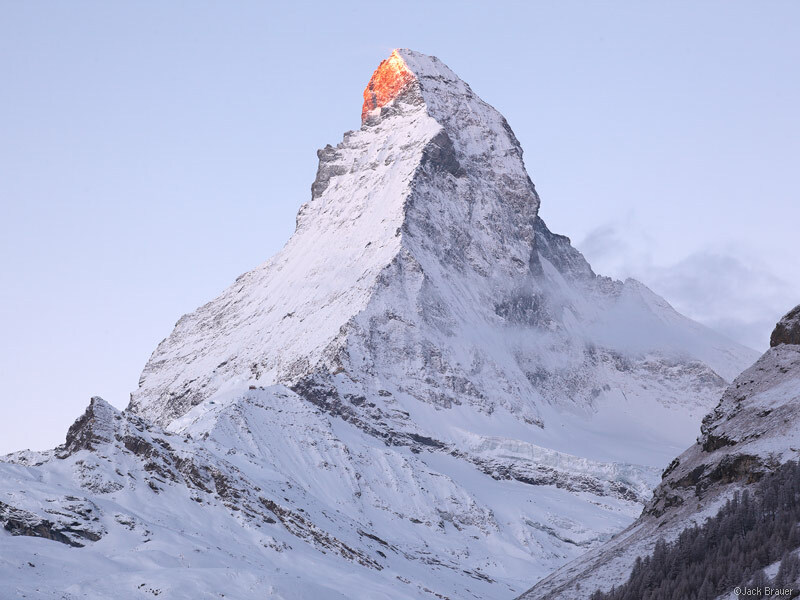 First rays of sunrise paint the Matterhorn, as seen from Zermatt, Switzerland. Just to state the obvious, this is one of the most awesome peaks in the world. I’ve seen thousands of photos of it, but photos don’t do it justice. It’s one of those mountains that blows your mind when you see it in person. 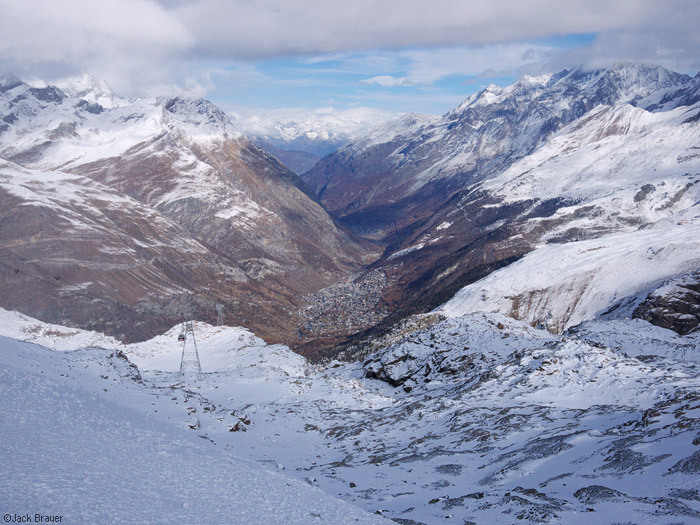 Posted in Alps & Europe and tagged Switzerland, Zermatt on November 11, 2010 May 19, 2013 by Jack Brauer. The last few days I’ve been enjoying my first days on the snowboard this season in Zermatt, Switzerland… and powder days no less! Above is a view from the ski area looking down at the town far down below in the valley. 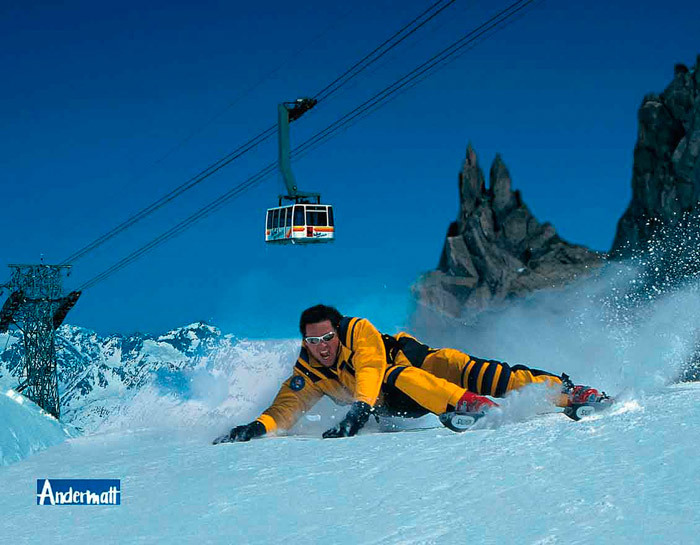 Posted in Alps & Europe, Skiing/Snowboarding and tagged Switzerland, Zermatt on November 10, 2010 May 19, 2013 by Jack Brauer. On Sunday I’ll be in Europe! 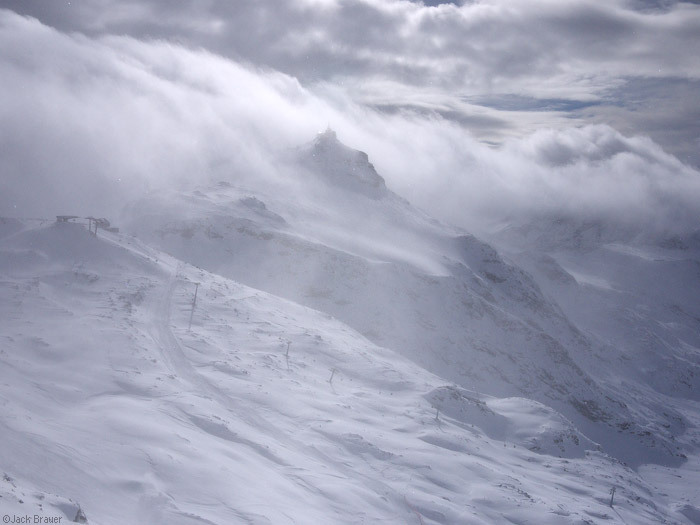 On tap: a winter in the Swiss Alps and the Black Forest in southern Germany. See some drool-inducing pics I harvested from the internet, below the fold. Wish me luck, and stay tuned for lots of [hopefully very snowy] blog posts from the Alps! Posted in Alps & Europe and tagged Switzerland on October 28, 2010 May 19, 2013 by Jack Brauer.